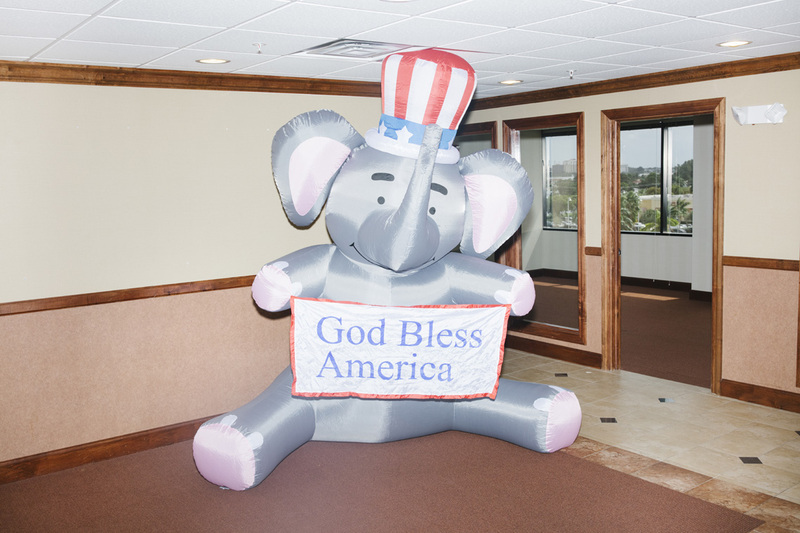 Outside the Palm Beach Republican Club headquarters. West Palm Beach, Florida. October, 2016. Shot on assignment for Stern. Photo editor: Angelika Hala. 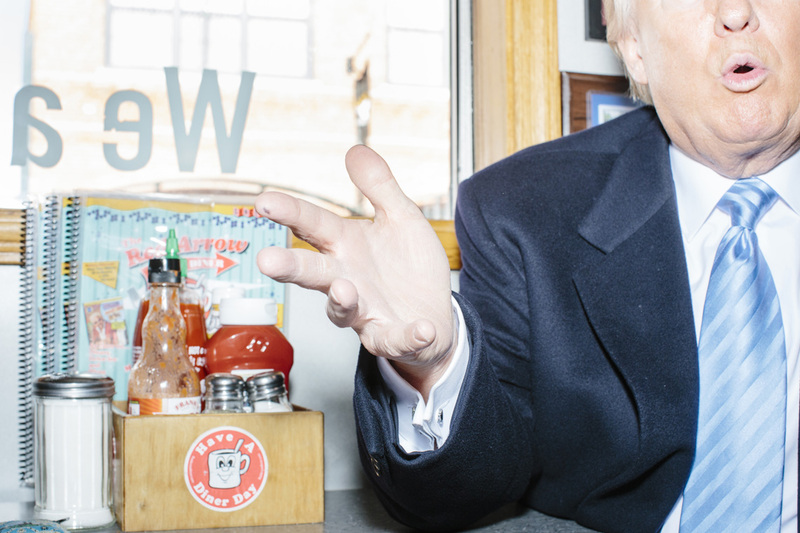 Interview with then-candidate Donald Trump. Manchester, New Hampshire. January 2016. Shot on assignment for the Wall Street Journal. Photo Editor: Alexander Cohn. Three of my images have been "Selected" as winners in the American Photography 33 competition and will be included in the organization's annual book of what they call "the best original, thoughtful and compelling pictures" of 2016. The images selected were part of my ongoing coverage of the 2016 presidential election. The first, above, was from an assignment in Florida in October 2016 for German newsmagazine Stern, assigned by their New York photo editor Angelika Hala. The second image included was from an assignment to cover what was supposed to be an exclusive interview with Donald Trump in advance of the New Hampshire Primary for the Wall Street Journal, assigned by photo editor Alexander Cohn. 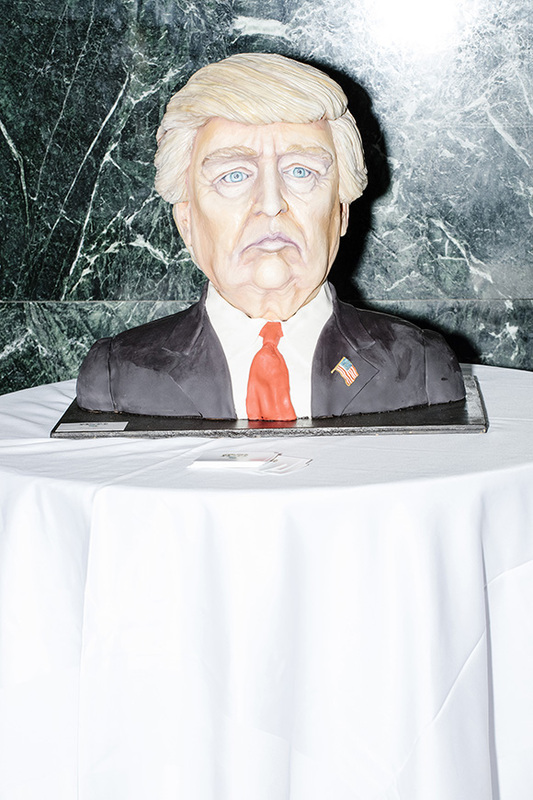 The third, of a cake at Trump's election night party, was from an assignment by Bloomberg Businessweek editor Clinton Cargill, with support from Bloomberg editor Eugene Reznick (with whom I worked on the Bus to November project last year). The jury for this year's competition included: Kate Bubacz, Senior Photo Editor, BuzzFeed News; Jeff Campagna, Photo Editor, Smithsonian Magazine; Bailey Franklin, Director of Photography, Variety; Amy Kellner, Associate Photo Editor, The New York Times Magazine; Christopher Martinez, Digital Creative Director, VP, Barneys New York; Michele Outland, Co-Founder and Creative Director, Gather Journal; and Patrick Witty, Deputy Director of Photography, National Geographic. The images can also be seen on the American Photography 33 website. Thanks to both the jury and especially to Angelika, Alex, Clinton, and Eugene, for assigning me for these stories. Last year, one of my pictures, of Bernie Sanders' presidential campaign, was included in the book, and in 2014, one of my pictures, again from a Wall Street Journal assignment, was "chosen" for online slideshow.